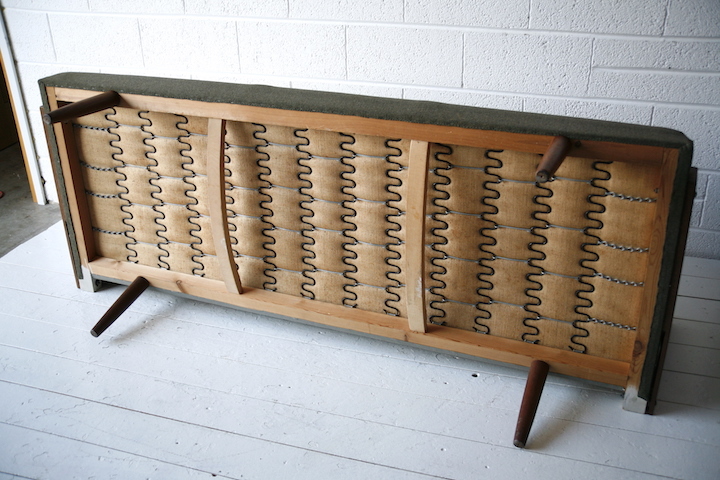 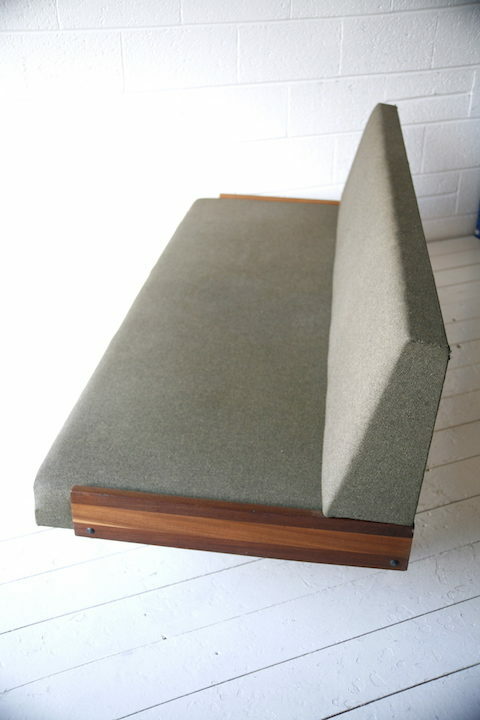 A stylish 1960s Danish daybed. 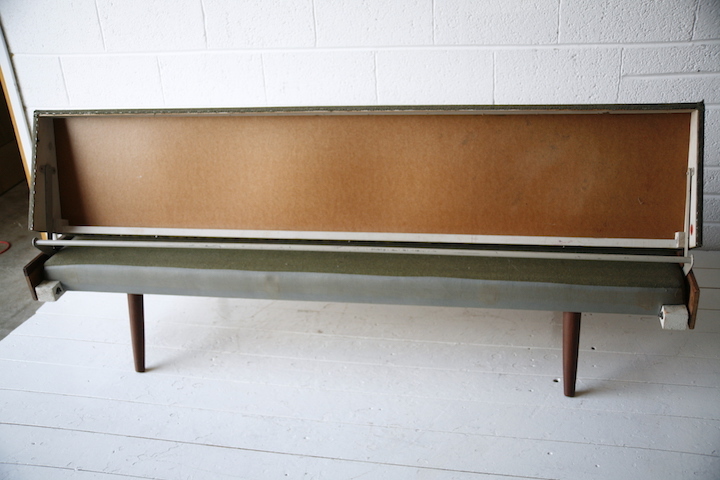 In original green hopsack with solid wood sides and tapered solid teak legs. 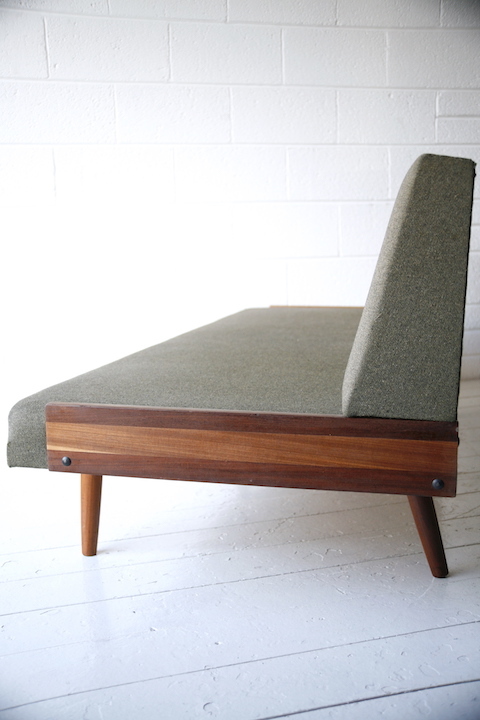 The back folds over to make space for a bed. 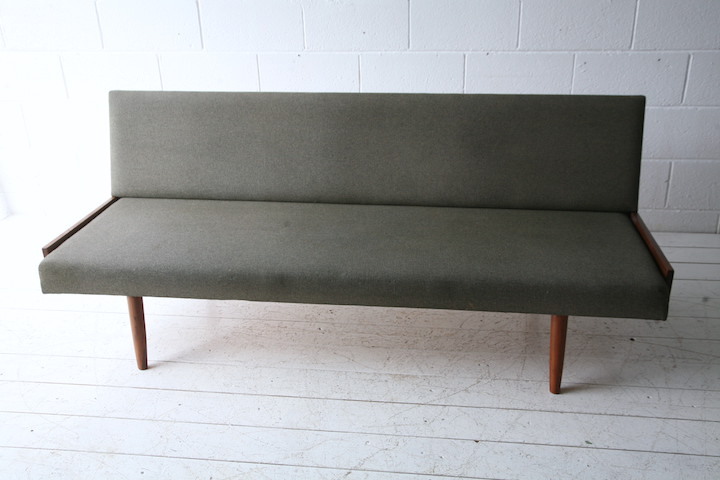 In good original condition with some age related wear.